After my sickly weekend, I’ve had the desire to keep my food as simple as possible. So far we’ve had a Bananaberry Smoothie and Granola Apple Moons. 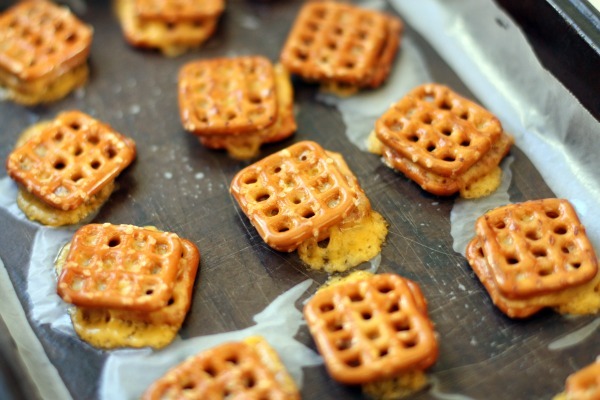 These Cheddar Pretzel Melts fall right in with that simple theme. They are as easy as they come. 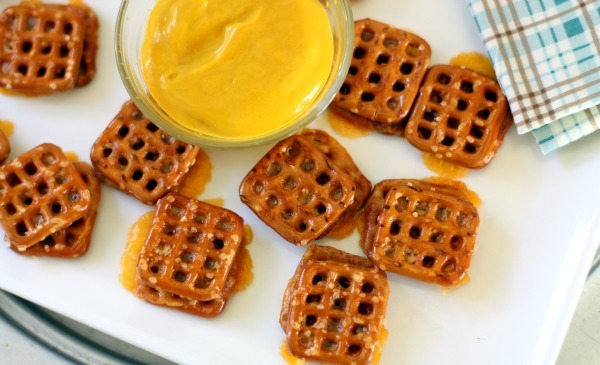 Served with your favorite mustard, they make for a perfect football watching snack, kiddie snack, or anytime snack. 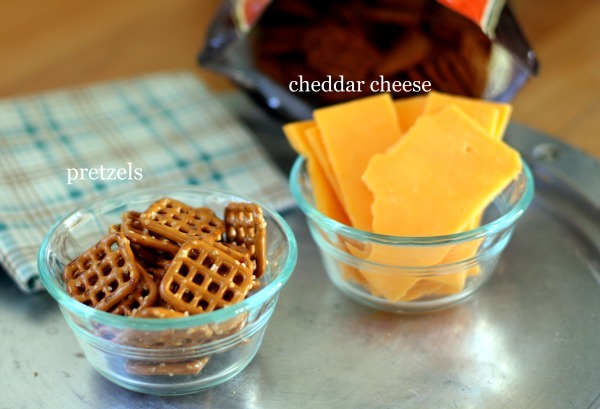 The beautiful thing about Pretzel Melts is you only need two main ingredients… pretzels, and your favorite cheese. All you have to do is preheat the oven to 425 degrees, line a pan with parchment paper, and make these cute little pretzel & cheese sandwiches. Bake for 5-7 minutes or until cheese is nice and melty. Make sure to check the oven often, or your smoke alarm might go off like mine did. Oops! And there you have it! Salty, crispy, and cheesy. Serve with your favorite mustard, whatever dip you like. Love! These looks so quick and simple-what a great app! Yum! Perfect for a Super Bowl app, me thinks! Couldn’t be any simpler… or more delicious! Such a cute Idea. I love me some cheese. What a great combination. 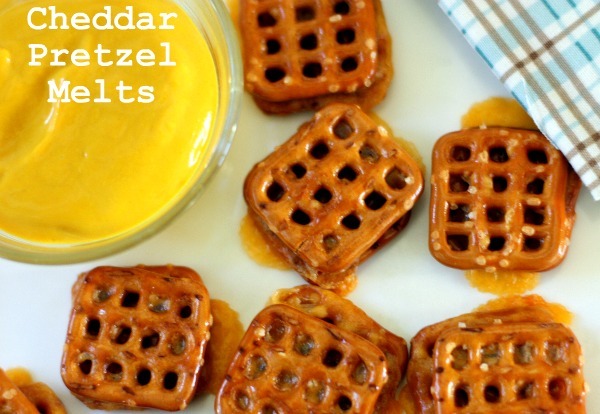 Can’t go wrong with pretzels+cheese+mustard. YUM. I love quick snack ideas. I am always trying to come up with some for the boys! This is a great idea! I can see serving these to my husband and him loving it! I would eat a VAT of these!!! What a fun snack! oh man…i would totally add more cheese though since i’m a little obsessed 🙂 and extra mustard! Crispy and salty…just what I crave. Extra sharp cheese – my favorite. So….need to make these pronto!! so simple yet why have i never heard of or thought of these?!? These are a great idea… savory treats are so good in the month of January following The Holiday Sugar Parade. Yum Estela – these looks delicious! And fairly simple, even for someone like me. I hope that you have a wonderful weekend Estela – I hear you are having nice temps in DC. I hope you enjoy! Sounds perfect — simple + delish! Those are the perfect snack! Yum!